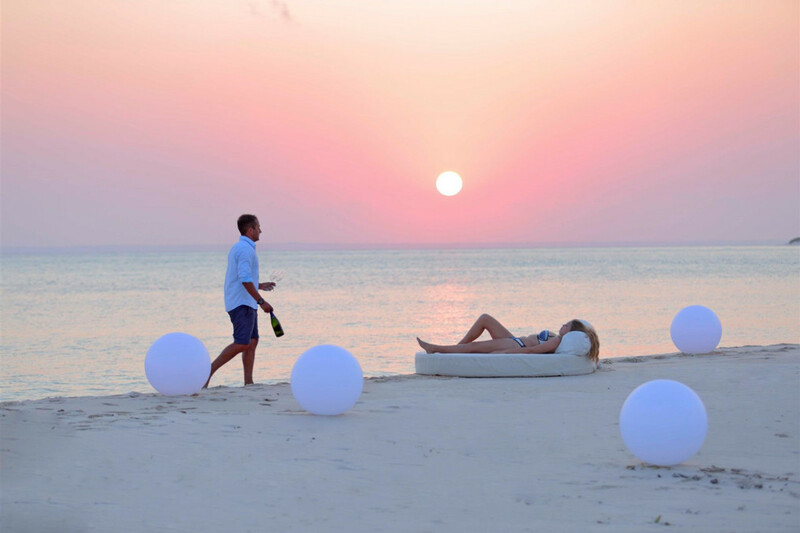 Azura Retreats are amongst the most romantic destinations in the world. Remote island paradises on Benguerra and Quilalea Islands, reached by a spectacular helicopter flight over the pristine turquoise waters of the Indian Ocean, easily combined with a Southern or East African safari. 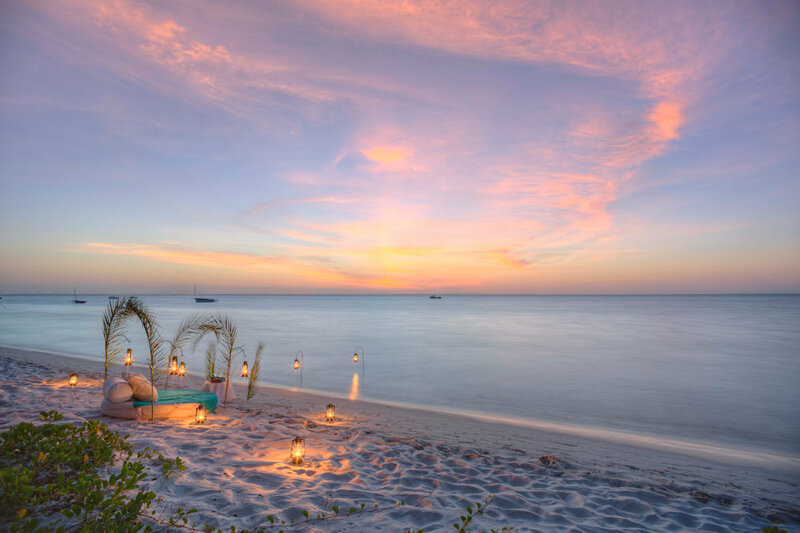 These Mozambican island paradises offer a haven of privacy to spend the most important vacation of your life. Enjoy lazy days swimming and relaxing, indulge in long lunches with fresh food and free-flowing wine. 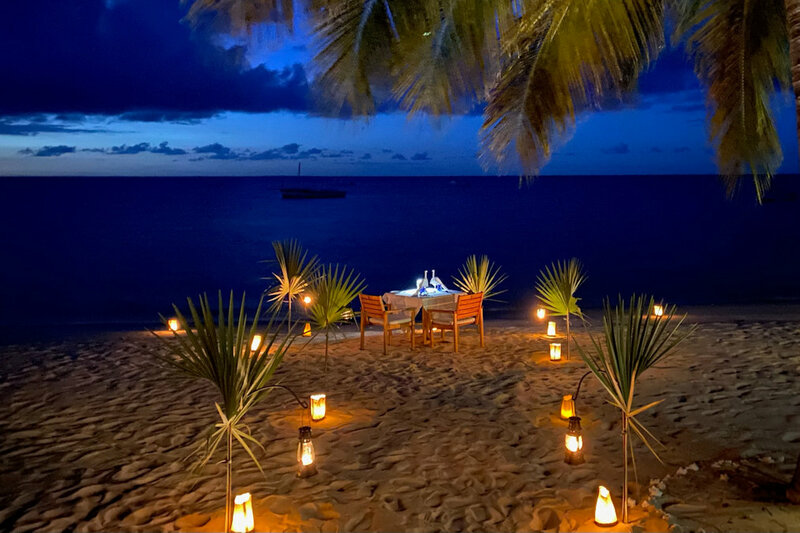 Spend romantic evenings dining on a secluded candlelit beach beneath the stars. Honeymooners at Azura receive a range of special treats, including a bottle of sparkling wine on arrival, an upgrade if available, and excellent discount on the normal rate for the bride. On stays of 5 nights and more at Azura Benguerra and Azura Quilalea the bride receives a 40% discount. We have lots of honeymoon treats in store for you, and remember all meals and house drinks are included, plus a bottle of sparkling wine on arrival, and a special dinner and honeymoon turndown on your last night. 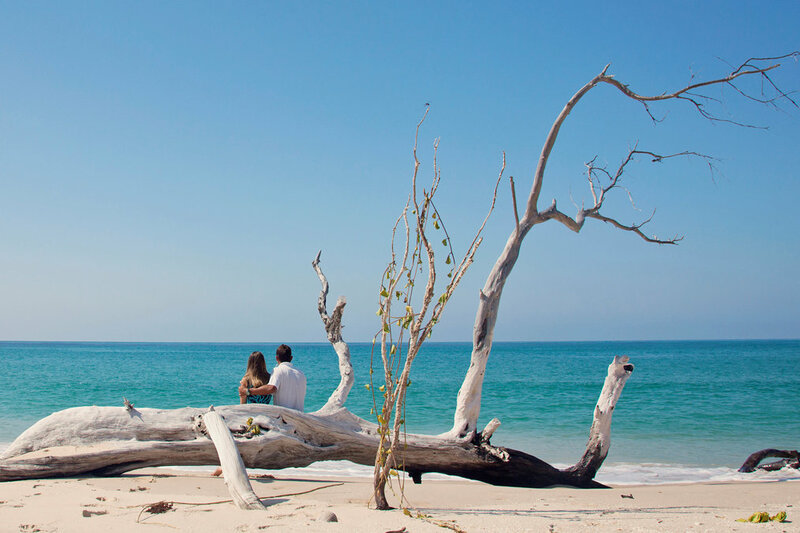 Our Honeymoon Heaven offer is valid between 7 January – 15 December 2019 for both Azura Benguerra Island and Azura Quilalea Island.